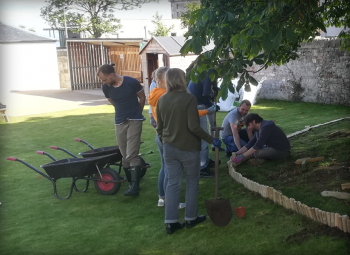 Volunteering Matters’ Employee Volunteering team paired the willing volunteers with St Columba’s hospice to tackle some much needed maintenance in the garden after the hospice was awarded a £250 grant from Volunteering Matters’ Action Earth project. 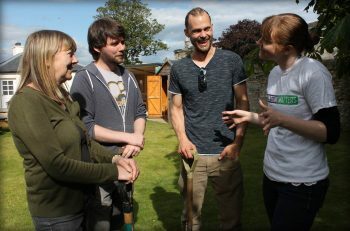 It’s not just staff members who help their local community, much of our work with older people is made possible thanks to support from players of People’s Postcode Lottery through funds awarded by Postcode Support Trust. To find out more about our projects visit our older people’s project pages.